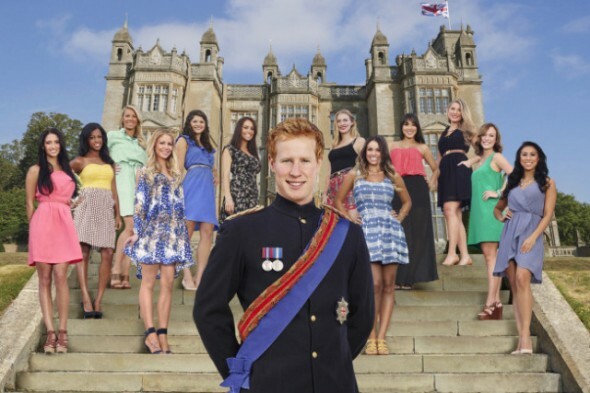 On this dating competition, an average English “bloke” is given the royal treatment. He gets an upper crust makeover before meeting a group of single American women who are searching for their Prince Charming. A bachelor and environmental professional named Matthew Hicks has been trained and given a physical makeover to appear to be Prince Harry of Wales. A dozen ladies vie for his affections and the cameras follow along to see if they fall for the man — or his crown. “Harry” courts each of the ladies, taking them on romantic dates worthy of a princess — and tries to make some version of their fairytales come true. By the end, three ladies remain as potential mates for “Sir” but he must reveal his true identity. Kelley Andrews (25), a hostess from Mobile, Alabama came in third. Karina Kennedy (25), a physical therapist from Palos Hills, Illinois was the runner-up. Kimberly Birch (24), a social worker/model/actress from Long Island, was the ultimate winner. First aired: released online only. What do you think? Do you like the I Wanna Marry “Harry” TV series? Do you think it should have been cancelled or renewed for a second season? So that’s what happened to that show. They just pulled it leaving four episodes not aired. Wow ! The ratings were that bad ? I wonder why not just let it run full to completion then do whatever later. Oh, that’s right money is being wasted. Well, at least those who were curious about how it all turned out for the possible couple, get to find out who the couple turned out to be reading it here. Winner must mean she, Kimberly Birch, chose to keep a relationship with him. Okay. I loved it, and am mad I didnt get to see what happened in the last episodes! How dirty that was to do to the viewers! I was really into it, then BAM!— It’s gone! Not a nice thing to do to us!